The zoo at the French capital’s Jardin des Plantes (Botanical Gardens) said Java, a female, was born in the afternoon of Oct. 17. It was mum Theodora’s third time giving birth while dad Banggi became a father for the first time. As journalists snapped pictures of mother and baby on Wednesday, Theodora cradled Java in her arms before putting her over her shoulder. “She’s doing very well. She’s suckling well. 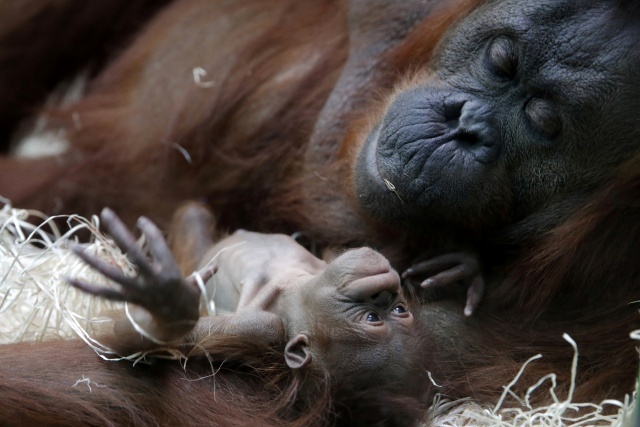 We’re lucky to have an established closeness between the zookeepers and the mother, who directly came to introduce the little one to them,” veterinarian Dylan Duby said. 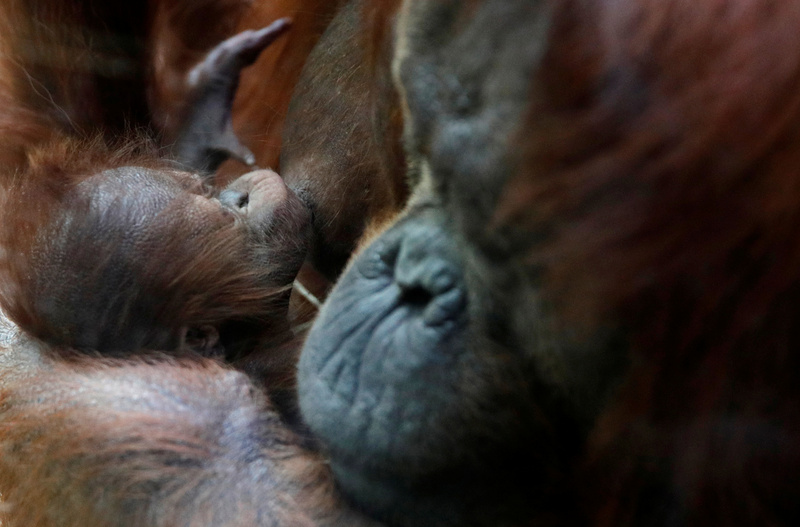 The zoo said Java was the first orangutan born there since 2005. It plans for Theodora to raise her before eventually sending Java to a different zoo. “We are going to wait about 10 years so her mother can finish raising her and then she’ll be able to go,” Duby said. 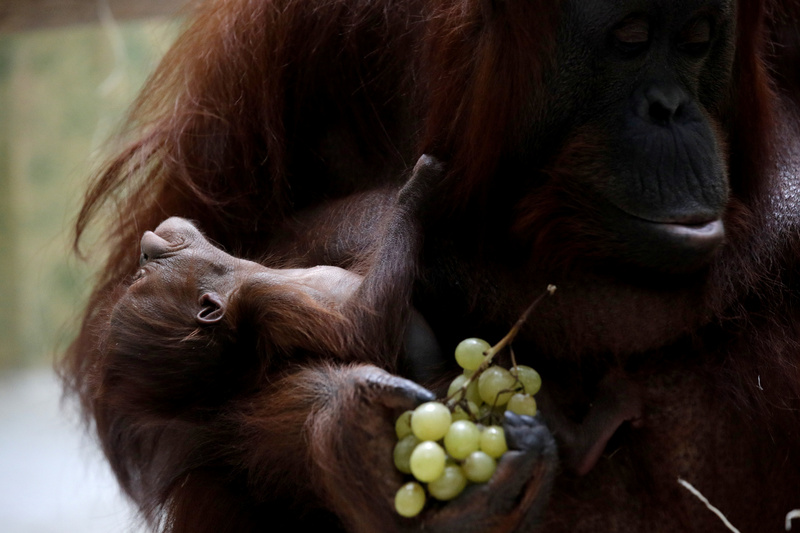 Both Borneo and Sumatran orangutans, which live in forests in Malaysian and Indonesia, are classified as “critically endangered” according to The International Union for Conservation of Nature, with hunting and destruction of their habitat the main causes hurting their populations.